Inflatable Boats & Kayaks Wholesale Business Ideas. BUSINESS IDEA #1: Inflatable Boat Dealer. Order 10 inflatable boats rafts or kayaks at wholesale prices at BoatsToGo.com. Lease a 5'x5' unit at the local self-storage facility close to your house. Buy a used Jet Ski trailer on Craigslist.com, and paint it with bright colors. Buy a FOR SALE banner and 250 post-card size flyers at VistaPrint.com. Put the inflated boat on the trailer, and mount the FOR SALE banner above. Attach a â€œTAKE ONEâ€ plastic box so that anyone can easily get sales flyer. Tow the trailer with inflatable boat and banner installed to places where potential customers may gather, such as shopping malls, fishing piers, lakes, rivers, etc. Park car with a trailer where people go fishing or camping and can see it. Whoever's interested in the boat, will pull a flyer from the TAKE ONE box, read all about the boat, specs, price, and when ready to order, will call your cell phone number printed on that flyer. You can meet the customer at the self-storage unit or deliver to his house. Payments can be taken in the form of cash, money order or check. To accept credit cards, you will need to open an account with PayPal.com or Checkout.Google.com. Money are transferred directly to bank account. Best part is: Sell-it & Forget-it. We will take care of all after-sale or warranty issues. Just send customers to us with all after-sale questions, request, etc. 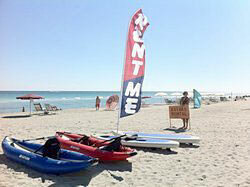 BUSINESS IDEA #2: Inflatable Boats, Kayaks and Paddle Boards Rental. Find an appropriate place next to the campground, local river, lake, bay or ocean beach where potential customers may gather and where there is easy access from your car to the water's edge. Research if approval or permit from the local municipality or park for opening a rental concession is needed. 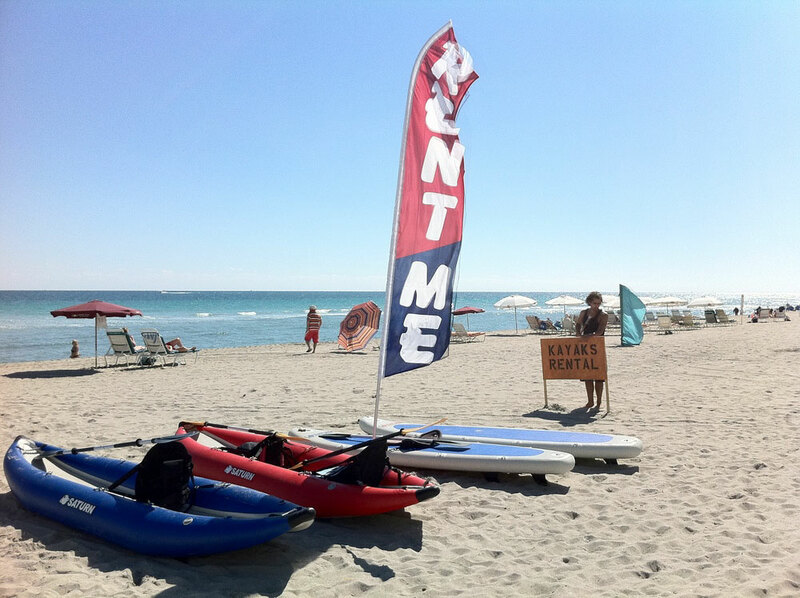 Buy several boats, kayaks and paddle boards to start your rental fleet. A minivan or pickup truck is recommended to transport bags with deflated boats or kayaks closer to the water, but a used cargo trailer will work just as good. On a weekend or sunny day, bring boats and kayaks to the water's edge; inflate one of each model with a 12V electric pump. Place a RENT ME sign next to each boat. You will inflate more boats per rental demand. Charge $20/rental, make sure customers sign RELEASE OF LIABILITY form and you will provide PFD to each customer to comply with safety regulations. Keep drivers license as collateral for the boat for the time of rental. At the end of the day quickly deflate your rental equipment with electric pump, roll up and store until next time. Or make large plywood box to safely store kayaks overnight. BUSINESS IDEA #3: Single Agency, Social Club or Workout Boot Camp. Buy several inflatable boats or rafts or kayaks. Place ads in local classifieds, Craigslist.com and Backpage.com; also leave flyers in local diners, pubs and bars. Advertisements should state that on a particular date in a particular place, there will be gathering of local singles or may be workout boot camp, for people that would like to participate in an active lifestyle and get to know each other. Request potential participants to sign up for the event via e-mail. Once you have enough participants, email everyone and confirm they will be there. 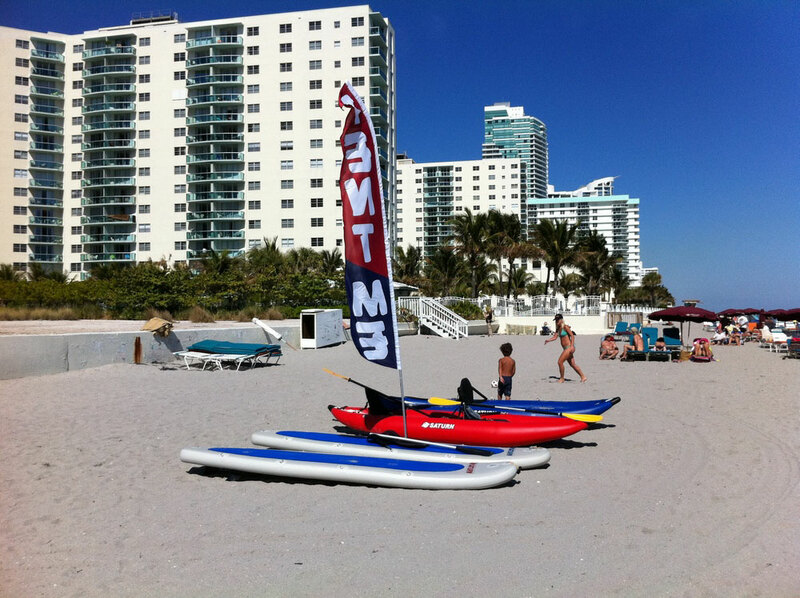 Bring several inflatable boats or kayaks to the meeting place, which should be close to the water, and organize participants to paddle kayaks or row their boats to a remote/romantic location where people can get to know each other, socialize, etc. Nothing brings people together like an active lifestyle and wilderness adventure. Once you have some permanent number of participants, and word of mouth about your social enterprise begins to spread, you may start charging some set membership fees, similar to a gym. If you properly organize these events and pay close attention to details, more and more people would want to participate. Not only will you get plenty of new friends, but you will most likely compliment your monthly income with steady membership fees. The trick here is that many people want to get outdoors and into an active lifestyle, such as kayaking, boating or rafting. Most people don't want to do it by themselves, and would greatly appreciate group activities if such offers were properly arranged. 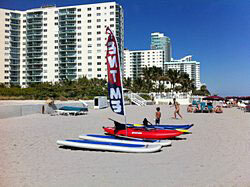 The boot camp variation of the above project would require participants to carry inflated boats/kayaks for a set distance along the beach, then row or paddle in incremental routes to increase endurance and stamina.